This article was last updated Apr 12, 2019, but some terms and conditions may have changed or are no longer available. For the most accurate and up to date information please consult the terms and conditions found on the issuer website. Imagine you’re just hours away from booking a vacation and are planning to spend hundreds of dollars on airplane tickets, prepaid hotels, car rentals and more. It’s the perfect opportunity to rack up rewards on a brand-new travel card and earn a monster sign-up bonus. Do you really have to wait around for a physical card to come in the mail before you can use it? Depending on the issuer, you may not have to wait at all. A small number of card issuers will let you make charges on a new card right away, using instant account numbers that you receive via your mobile phone or computer. American Express, for example, offers an instant card number as soon as you’re approved. That way, you can start earning rewards and accessing benefits immediately– such as car rental insurance and trip protection – that typically require you to charge your travel purchases to your card in order to be protected. Similarly, Bank of America offers instant details to customers who apply for certain cards, such as the Bank of America® Premium Rewards® credit card, through the bank’s mobile app and are approved for instant credit. It also offers instant card numbers on select co-branded cards. What do you mean I have to wait? Not every issuer offers instant numbers, though – which can seem outdated at a time when instant gratification is commonplace, says CompareCards Senior Industry Analyst Matt Schulz. It may be especially frustrating to consumers who are used to applying for retail cards at checkout and are allowed to use them right away. “The idea of having to wait a week or two to get a physical credit card just comes off as kind of unnecessarily old school to a lot of people,” said Schulz. There may also be situations where you need to use your new card right away and don’t have time to wait. For example, if an appliance breaks down, you may prefer financing it with a lower rate card that offers a long-term 0% introductory APR rather than a store’s high-APR credit card. Or, if you’re just hours away from purchasing something that you know could earn a lot of bonus points, you may not want to miss out earning those rewards. Some issuers may be reluctant to issue instant credit card numbers for security reasons, suggests Schulz. Which major card issuers offer instant card numbers? 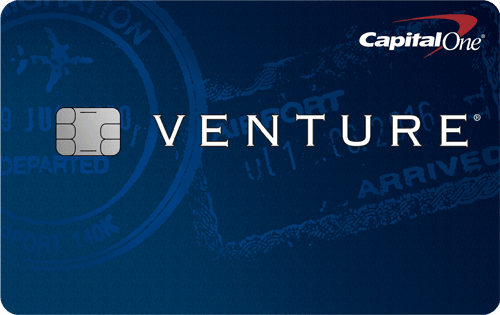 Right now, just a handful of major issuers offer instant credit card numbers. However, most only offer them on select cards, such as their co-branded credit cards. 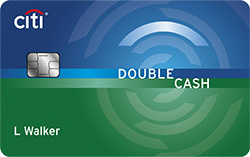 American Express®, by contrast, offers them on all its U.S. cards to eligible applicants. Some cards may not let you charge your full credit limit until you get your physical card, so you’ll have to watch what you purchase. For example, USAA offers only partial access to your credit limit until you’ve activated your physical card. Card Issuer Instant card number provided? 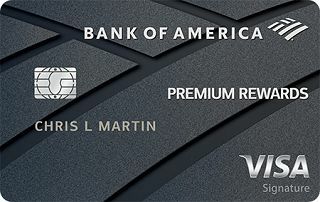 Bank of America® Available on select co-branded cards and on some Bank of America rewards cards, such as the Bank of America® Cash Rewards credit card and the Bank of America® Premium Rewards® credit card, when you apply through the Bank of America mobile app. Barclays Available on some co-branded cards, such as the Uber Visa Card* and the Barclaycard Visa® with Apple Rewards*. Citibank In some cases, new cardholders may be able to get an instant card number on a Citibank card. Navy Federal Credit Union No; it does offer instant debit cards. USAA Available on Visa-branded USAA cards. Instant card numbers can be a great tool when you need to purchase something immediately and don’t have time to wait for a card to arrive in the mail. They not only give you the ability to take advantage of certain benefits — such as travel protection or rewards earnings — right away; they also give you more time to meet your card’s spending threshold and earn a sign-up bonus. *The information related to this offer has been collected by CompareCards and has not been reviewed or provided by the issuer of this card prior to publication. Medical Credit Cards: Are They Worth Using?